This peak is unnamed on OS maps, but is called Maul Laur on Bald's map of Co. Mayo (1830). This is probably an anglicisation of Ir. 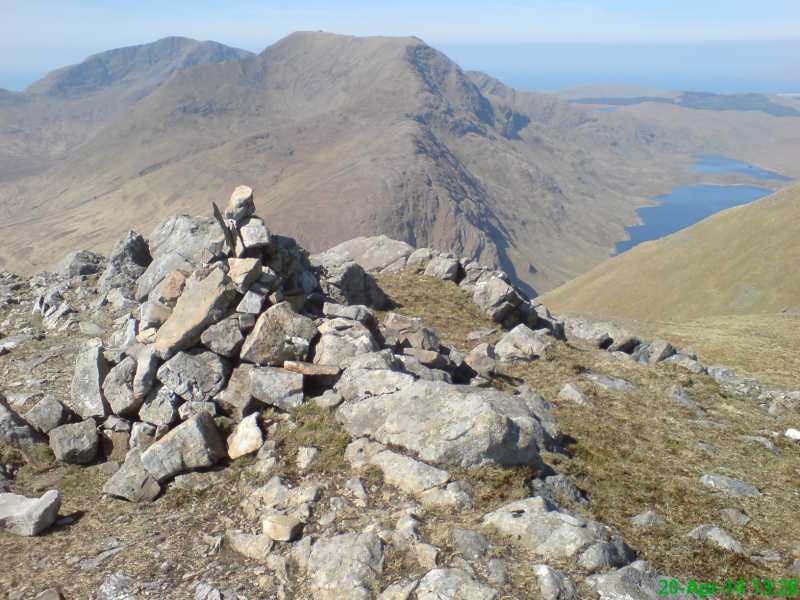 Meall Láir, 'middle lump', indicating its position half-way beween Ben Creggan and Ben Gorm. Ben Creggan South Top is the third highest mountain in the Ben Gorm Mountains area and the 133rd highest in Ireland.